The University of Auckland has the most comprehensive range of courses in New Zealand, with teaching and research conducted over eight faculties and two large-scale research institutes. It is the only New Zealand university that offers both Medicine and Engineering. In the QS World University Rankings by Subject, the University of Auckland is ranked first in New Zealand in 37 of the 40 subjects, featuring in the top 50 in the world in 16 subjects. It is the highest ranked New Zealand university for graduate employability (QS 2016 World University Ranking) and for employer and academic reputation (QS 2016 World University Ranking). The University of Auckland is New Zealand’s largest research organisation with more than 12,000 staff and postgraduate students involved in fundamental and applied research. The University generates more than $200 million in annual research revenue. Auckland UniServices Ltd, the knowledge transfer company of the University is the largest commercialisation company of its kind in Australasia, bringing income and new employment opportunities into the University and New Zealand. It has 1,200 active projects with more than 300 New Zealand firms at any one time. In 2016, UniServices generated revenues of $114 million, over 50 licences for intellectual property and created more than 11 businesses to commercialise University research. The University has a strong Graduate Office, a strong focus on doctoral studies and on cross-disciplinary and cross-faculty research. 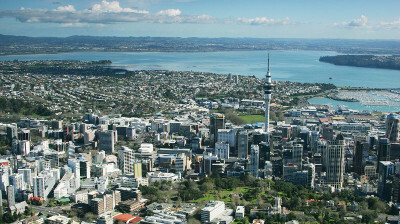 The University is located in the harbour city of Auckland, New Zealand’s economic and cultural hub, with easy access to stunning beaches and rainforests. Auckland was ranked third out of 230 cities in the 2017 Mercer Quality of Living Survey, and in the top 30 of the QS Best Student Cities 2016. We have five main campuses, the largest of which is nestled within Auckland's bustling cultural and business hub. From theatres and cafes, to sports and outdoor pursuits, there are myriad recreational opportunities right on our doorstep.